Imagine if your son came home from school after spending the day coping with peers calling him names and throwing his back pack on the toilet block roof. Imagine then if he were to say nothing to you about it but instead went straight to his room. Would you want to have the opportunity to talk to him about it? How about if your daughter was struggling with her peers pressuring her to take drugs, would you want to know? If your daughter fell pregnant and was frightened about the huge choices she would soon be making, would you want her to be able to come to you for help? 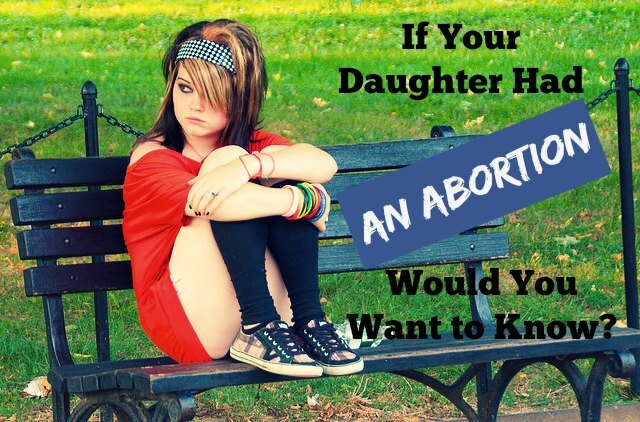 If she chose to abort the child, I know you’d want to know about that! Responding to these questions is confronting and uncomfortable. We would all like to pray and hope that our children will never find themselves in these situations but we would be naive to think that our children are completely immune from the perils of adolescence. I’ve been a secondary school teacher for more than a decade now. I have taught in schools on both sides of the world and at both ends of the economic spectrum. In my time as a health and physical education teacher I have been privileged to teach, mentor and guide students through their teen years in many differing ways and in a number of roles. Of course, teaching these students was my primary role and I really enjoyed that aspect of my job, but what if I told you that each of the students in the scenarios above chose not to talk to their parents? What if I told you that in each of the cases, the only person they felt they could talk to was me – their teacher? Now, don’t get me wrong, I am not complaining about the fact that I can be a confidante for these students during some pretty harrowing years, in fact, I feel touched and grateful that they were able to find the confidence to open up at all. But, now that I am a parent and have had a chance to reflect upon these scenarios with a different perspective, I realise that the trials of the teenage years are life-shaping to many. I know that if these were my children in the future, I would want them to feel they could come to me when times got tough. I have since lost count of the number of students that, burdened with what must have felt like the weight of the world, broke down during a conversation after class and confided in me. From friendship issues to relationship concerns, pregnancy scares and drug experiences, these students spoke of their fears, their regrets and their inability to find their way past it. There were, of course, times where I was legally obliged to report their stories to my superiors and from there the children had access to the professional support they needed. But many times these children simply needed a shoulder cry on; someone to hear them and to understand. 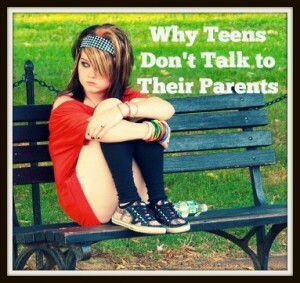 So, why don’t teenagers talk to their parents? In every case, I queried, “Is there someone you can talk to about this at home?” and almost always the answer was a resounding, “No!” With rationales like, “They just wouldn’t understand” or “They would be so disappointed in me!” coming flooding out with the tears that fell uncontrollably, it often seemed that this realisation itself was to them sometimes more painful than the life event they were dealing with. So where did their relationship break down? When did it get to the point that these children no longer felt comfortable talking to their parents about their deepest fears, their hurts and their pain? When did their problems get so big that they felt the only person they could trust to talk to about them was their school teacher? Well, I can tell you honestly that in most cases it was not because these parents were uncaring, unloving or bad parents. In most cases it was quite the opposite. These were in fact, strong, capable, got-it-together parents who would do anything for their children and raised them to have good morals and high values. They were adoring and hard-working and would consider themselves great role-models for their children. I can also say categorically that these children were not ‘broken’ or disconnected children. Many of them were high achievers, diligent, popular and outwardly happy. They cared about their life and had goals and aspirations. They also had a lot of love for their parents. The problem it seemed, stemmed from their childhood, where somewhere along the way they had come to the conclusion that their parent’s love and approval was conditional of good behaviour and achievement. You see, in a well-intended, concerted effort to ensure their children are raised to be upstanding members of society, many parents use punitive, disconnecting discipline techniques. Methods such as time-outs, removal of privileges, shaming and spanking are among the most common of these methods. They, coupled with achievement-based rewards and praise, unwittingly send the message that with achievement comes love and with misbehaviour comes reprehension. This can effectively close the doors for a trusting, honest and communicative relationship between parent and child in the future. My time spent with thousands of teenagers over the past decade has had a significant impact on the parenting pathway I have taken. My children are still some way off hitting their teen years, but I am confident that the way I parent them now will have a significant bearing on how comfortable they will feel communicating to me during those vulnerable teenage years. As my children grow I want them to know that no matter what happens; no matter what trouble they find themselves in, they can always come to me. I want them to know that I will support them, guide them and love them no matter what. I know that if you have read this far, this is probably something you would want for your children also. So, what do we need to do to foster an open relationship with our children? To create that open, trusting relationship we need to be mindful of the way we parent them now. It is now that we are laying the foundations for our relationship in the years to come. We need to admire and respect them for who they are – warts and all! With unconditional love, support and understanding, no matter how testing the behaviour, we must send our children the clear message that not only will we always accept them for who they are, we will always support and help them with kindness and understanding when they are having a hard time. They need to know that they can always be confident and proud of who they are no matter the short-comings they may be attributed and we can relay this to them in our interactions with them. How can we demonstrate acceptance and understanding on a daily basis? It is vital to grow connection with our children by using discipline rather than punishment. Teaching through guidance rather than by fear encourages children to remain open about their mistakes rather than hiding them away. 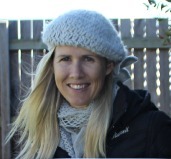 Janet Lansbury, a parenting teacher and RIE (respectful parenting) associate taught me that when our children are having a hard time and displaying testing toddler behaviours, this is our opportunity to show them we are open for them to communicate to us their pain. We can show them understanding by reaching out to them during these times and acknowledging their frustrations. We can say things like, “It seems you are having a hard time playing with your sister, I will sit here with you so I can help you.” And then do it. Keep them both safe and show compassion and understanding to both siblings as they both have their own demons to deal with. If we punish them by taking away their favourite toy or sending them to their room, or showing them the same aggression they might be displaying towards their sibling, not only do we send them the message that we don’t want to try to understand them but we also close the door on an opportunity to communicate and connect. When they fall and bump their knee and begin to whine or cry, we can let them know we empathise with their pain. It may just be a small scrape but we mustn’t try to stop their tears by telling them they are alright if they are clearly upset. By finding something to distract them with or dismissing their pain rather than acknowledging their discomfort and offering them some TLC, we are telling them, we don’t want to hear about their hurts. We only want them to be happy. Similarly, when a child is feeling emotional about a particular circumstance that may seem trivial to us as adults, acknowledge and validate their feelings. It IS a big deal to them so it is important we show them that we understand and empathise. Parenting is easy when our children are happy, it is when they are sad, angry or frustrated that we can truly let them know we understand and accept ALL sides of them and that our love is unconditional. So, how do we avoid creating an approval-based relationship? Whilst keeping lines of communication wide open from birth is vital in fostering a trusting relationship with children, a relationship based upon the need for approval can also cause a teen to withdraw and withhold from us for fear of retribution. As children grow and develop it can be tempting to push them beyond their capabilities in an effort to help them achieve milestones and learn new skills. When a child begins to pull themselves up on couches, for example, it might prompt us to take their hand and show them they can walk across the room. This achievement is celebrated by enthusiastic parents who might clap their hands and coo “Good boy!” to their child. The message this sends the child is that just pulling themselves up on the couch is not good enough. It plants a seed of self-doubt as they question the worthiness of their actual capabilities. They get drawn towards the prospect of more attention and praise if only they could just take those extra few steps. Accepting that a child’s skills, abilities, behaviours, emotions etc on any given day are perfect for that child at that time takes a significant change in ideals and perceptions but what it does do is create an environment for our children to become contentedly and innately driven to learn, achieve, grow and develop along a natural pathway. A child who feels their worth is measured by results, achievements and good behaviour will soon need to see, hear and feel parental approval to gain confidence and continue moving forward. I have seen first-hand the impact on teenagers who have had these subtle messages unwittingly reinforced to them by their well-meaning parents over the course of their childhood. These children become fearful of disappointing their parents and worried that confiding in them will be met with judgement and disapproval. During the adolescent years, teen’s bodies are undergoing huge changes fuelled by hormones. At the same time they experience a developmental need to assert independence and additionally, possess underdeveloped brain matter which encourages them towards more risk-taking activities. In short, a significant number of teenagers will experiment, test and become more emotional during adolescence, leaving them vulnerable to the sorts of situations I mentioned earlier in the article. Therefore, (just as in their toddlerhood) teens need love and understanding more than ever, If they don’t feel confident they can get this as home, many will seek out a trusted source such as their teacher to unload their burdens. Whilst having our children open up to an alternative confidante would not be the end of the world, wouldn’t we rather they felt they could come to us should they be concerned, worried or looking for guidance? I know I would want to be there to help my daughters should they need it. I feel strongly that over the next decade, as our children navigate through their childhood, finding their feet and developing a stronger understanding of who they are, what they stand for, their strengths and their limitations, our role as their parents must be to walk alongside them, showing them unconditional love and understanding. This, I believe, will give them the confidence they need to be able to confide in us if, or when, their lives get tough. When they hurt, we will empathise. When they scream, we will listen. When they make mistakes, we will support them. When they reject us, we will understand and love them. When they fall down, we will let them know they are still loved as they pick themselves back up again and move on. This must be our pledge to our children. I still occasionally see the student of mine who aborted her child. She was legally able to make this decision for herself and went through with it with no family support. She went on to have a beautiful family a little later with her partner and is a terrific mother. She says her Mum and Dad still have no idea about her first pregnancy and she doubts she will ever tell them. This article is beautiful! It clearly shows the long term path your parenting style can reach through respectful and acknowledging, unconditional love parenting. I have been trying to do the RIE parenting style for a few years now and while I know I don’t have it down pat, I appreciate learning from each of your posts. I appreciate your perspective and experience in each post and especially this post, seeing your perspective as a teacher 10 years into your practice the road that RIE parenting can have on children raised in this manner. Thank you again for this post! I am truly enlightened on how RIE parenting can carry on as they mature in their teen years. Thank you! Thank you, Sherra! It can be hard to project into the future to see the long term benefits, can’t it? I am so grateful to be able to see both ends of the spectrum and now apply many respectful parenting practices into my teaching of teenagers. It really is all anyone could ask for really – to be understood and respected. I don’t think the author has all the facts available yet. The article is a good attempt at solving the communication problem, but the author has not had parental responsibility to the end of the child’s teens. She wants the parent to be a mentor, when her first job is to reflect reality. Hi Fredrick. Thank you for you comment. You are right. I haven’t had the privilege of parenting children through their teen years. I can only draw on what I have experienced in 13 years of teaching teenagers. I don’t believe, however, that a parent needs to reflect reality. Children live reality everyday. They get it. What they need to know is that their parents will guide and steer them towards good choices but at the same time be someone they can turn to when they inevitably make that poor choice. It doesn’t mean the parent has to agree or even like the choice the child has made but they need to be available to the child without judgement. Like you so correctly imply, life will be full of judgement so it is imperative that they know there is someone out there who they can open up to who won’t make them feel worse than they already feel for their mistake. That is the mistaken assumption. Life holds all of the reality and hands it out freely, it is our job to express and model how to handle it. Parents walking around, handing out arbitrary punishment for things like the way their child spoke or handled a difficulty while yelling, drinking, driving aggressively, sarcastic commentary, etc, in response to theirs completely breaks down as useful in cold training at about 10 to 12 years of age (younger for smarter kids). Then a child loses respect and goes underground until something happens to reveal their inner life to their parents or they reach an age of making their own decisions and leave (either loving and showing respect for their folks all the while or not). I have 18, 14, and 12 year olds with emotional intelligence, great morals and manners, and I wouldn’t have raised them any other way. I sincerely hope they improve on their start with their children, my husband and I took significant untraining to elevate our own behavior and our interactions with them. They come to me about most things and have other trusted adults they can turn to when they feel they need to, and I love still hearing about their inner and social lives, helping their friends when in need, and answering questions and discussing daily life challenges with them. I earned my children’s trust and respect, and that’s more important than the reverse, in the long run. Ummm, no. If a parent’s job was to “reflect reality”, nobody would need parents, because reality is literally everywhere. If you want to be a parent who “reflects reality”, just abandon your child. The reason parents are needed is because children need guidance and teaching. A parent’s job is to be a mentor. That’s it. Period. End of story. A parent doesn’t need to “reflect reality”. Reality is already doing that for them. Parents with your mentality treat their children with no respect because it’s “realistic”, failing to realize that maybe, reality wouldn’t be so horrible if people didn’t grow up to be so horrible because they were mistreated in their youth. “This is what the real world is like” is just an excuse for people to be jerks to their children, especially since they raise their children in an unrealistic way (usually punishing them for things that adults are totally allowed to do and never letting them make any decisions so they never learn how to). It is not our job to toughen up our children to face a cruel and heartless world. It is our job to raise children who will make the world a little less cruel and heartless. Can you give me ideas on how to teach cause and effect or consequences of poor choices without removing privileges? Natural and logical consequences will teach children cause and effect over time whilst continuing to support our children as they grow and develop. I will link you up with some articles that might give you some more ideas about how natural and logical consequences work. Thank you so much. 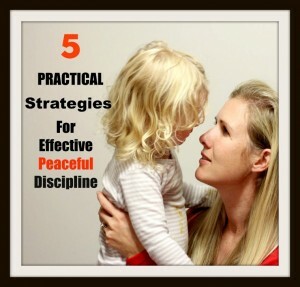 My husband and I have tried very hard to implement peaceful parenting as much as possible (we live with my parents who are very much the shame, spank, ground advocates and I still suffer from a lot of childhood trauma thanks to this type of parenting). The problem we have faced is that my son doesn’t seem to understand natural consequences – he will continue to engage in bad behaviours (we say ‘making bad choices’) even after he has hurt himself or others and the only way we have found to help curb this behaviour is to limit his playtime with certain things – his favorite toy train, for example. He can choose another thing to play with or he can read books or do something else, but until he shows us better choices and understanding of his actions he doesn’t get the ‘favored’ toy back. There are times that even this doesn’t work. To say we are at our wit’s end with understanding how to teach him better choices is an understatement! Removing the train works (sometimes) because your little one is desperate to avoid that negative consequence. He is not being given a chance to be guided into making better choices by nature. This is why inevitably he will continue to use the same behaviours. He is not ‘ready’ or ‘capable’ of making these good choices all on his own. He needs more help to be guided towards the better choices. He needs to be prevented from hurting others before he does it. Removing his favourite toy only serves to cause further confusion, angst and resentment for him. I would love to hear some specific examples of the unwanted behaviour he is engaging in and some details about the scenario. Without the full context it is difficult to offer further advice. My son has always had trouble with transitions and one of the biggest issues we have is getting him to have dinner. I should say that most of the time when he acts out is when the activity that needs to be done is not one we can give him a choice about (going to the doctor or an appointment, getting dressed for school, brushing his teeth). We do give him choices relating to the activity such as does he want to have juice or water to take with him, what jacket he will wear, does he want Mommy or Daddy to be there with him while he brushes his teeth, etc. As an example, when we bring the kids home from school (daycare – he is 3, my daughter is 17 months) they get a set amount of play time before dinner. This is routine and has been our routine for over a year now. We give him transitional messages such as ‘in ten minutes it will be time to set the table’ and then again at 5 minutes, 2 minutes, etc. When it comes time to set the table he will start throwing his train, breaking the tracks apart and generally being destructive. This is usually the time that we give him the choice to put his train away gently and help set the table or not be able to play with the train after dinner or bath. We use ‘helping Daddy’ or Mommy as an option, helping bring the plates to the table, etc. Which sometimes works. Then there will be the fight to sit at the table. He has had feeding issues and getting him to sit at the table and eat is a big challenge. Upon advice from a therapist we have stopped verbally asking him to eat, but we will put food in front of him and he has the choice to eat it or not. We do feel that he needs to sit at the table, even if he is not eating, while others are having their meal. If he chooses to eat, we will allow him to excuse himself from the table when he says he is finished. We find that this has helped a bit, but not always. The natural consequence it seems of not enforcing mealtime would be that he goes hungry – something that then causes a major disruption as he will fight bedtime because he is hungry and insist on being fed before bed which ends up in a later bedtime, disrupted sleep, etc. My husband and I have zero time together because dealing just with him takes most of our evening between transitions and redirection and trying to guide him instead of making demands. By the time he is in bed it is usually between 10 and 11 and this spiral usually starts at dinner. Thankfully at this stage our daughter loves eating and sleeping and everything goes smoothly most of the time with her. I can see why you feel at the end of your tether. It sounds like your son is quite spirited and strong-willed (both great qualities but can be tiring for parents). Have you read Raising Your Spirited Child? There is a link to it on my blog in the recommended readings on the left hand side. It is hands down the best book I have read for helping us parent our spirited 4 year old. It provides so much insight and you would gain so much understanding of your son’s behaviours having read that book. It sounds like your son needs some firm limits set but at the same time you need to pick your battles. He is only 3 which is a fairly tough time emotionally and developmentally for children. I would be saying to him, dinner will be ready in 5 mins, so finish off your play (my daughter likes it when i set a timer for her so she knows what that 5 minutes looks like and hears a verbal cue to stop). I have found with her that too many reminders counting down leads to uncertainty. They don’t know what those minutes feel like so all they keep hearing is that dinner is at some ambiguous time in the future. If you say it once then he will become used to that time period and know that is the end of play. I would not worry about having him help set the table. Just focus on the meal. When he comes to the table for his dinner but then resists, there is a fair chance that by this stage he is tired and emotional and using this time to release these feelings. Avoid the power struggle. Give him the option to sit with the family to eat his dinner or he can go and have an early bedtime. Then follow through. This will disrupt your family meal times for a while as one of you will need to tend to him and the other stay with your other children but it sounds like it’s all pretty disrupted at the moment anyway. He seems to be getting far too much power around meal times and bedtime. He needs you to stay firm. His options shouldn’t be who comes with him (that gives him too much control over his parents. You could say would you like to walk or do you need me to carry you? Let him choose and if he does not choose, tell him “Thank you for letting me know you need help, I will carry you to brush your teeth.” Then follow through. Be calm, confident and follow through every time. Thank you so much. I will check out that book! It’s funny you say the ‘counting down’ could be counter intuitive because he has started using that as how he tells us he wants more time. “No, two minutes!” LOL Sometimes you’re so tired you just can’t see the signs I guess. Thank you again, this has given us a fresh perspective! You are more than welcome, Hedda. Please feel free to continue asking questions. You can email me (kate@peacefulparentsconfidentkids.com). And get that book. It really will help you so much!! I wanted to say that I just read the first link you gave me and I was so happy to see that we do implement most of those things – especially understanding and providing an environment for play and exploration. My son naturally likes to be helpful so a lot of times we use this tendency to redirect him when his behaviour has gotten out of hand (throwing toys, pre-empting a tantrum, etc.) It’s is just so hard to know when you are doing something right! I totally relate to what you’re going through Hedda. it’s EXACTLY the same thing with us at dinner time and then at bedtime the conversation is the same – “I’m HUNGRY!”. We have a three year old girl and she uses “I just want ONE MORE HOUR”. Ha ha! I have a lot of reading to do to get on top of this. At the moment we say, “if you don’t eat your dinner then there’s no fruit or anything else before you go to bed”. It sounds to me like we might be doing the wrong thing already so now it’s time for more reading. Phew, why wasn’t I told that parenting would be like this? It’s sooo rewarding but can be sooo exhausting too. I’m certainly learning a lot about how to deal with so many every day situations since having a child. I wanted to share that at three, I tried to have my son put his dishes in the dishwasher. He refused. It started to become a battle, so I dropped it. Instead, I encouraged him to help out in ways and times that he like to do so. Mopping the floor, and other “fun” activities. He is 5 now, his preschool teacher says he is so helpful. And, much of the time when we request him to put his dish in the dishwasher, he does it. And he tells me that he did it and is so proud of helping me out. I’ve explained why I need him to help many times, and he is getting it. Things will change. Your son will grow up and begin to show amazing qualities, and even want to be helpful. It’s an amazing journey, isn’t it? Oh this is such a tough one isn’t it. I see (well meaning) parents all the time shaming their kids in an effort to get instant compliance at the risk of longer term relationships, and I wish I could tell them that it doesn’t matter so much if your child barks on command now…. Oh Shannon, I can only assume you are relatively new to my blog. I say this because for the first 18 months that I blogged I was in your exact same boat. I am not naturally a patient person and I am definitely not a patient mother. This is something I have had to work incredibly hard on for the past several years. I used the reasons I outline in this post and many others as my significant motivating factors. You see, if I do not stay mindful and think of the long term consequences of my parenting choices, I so very easily slip back into older more punitive parenting practises. I am going to link to some of my earlier posts to highlight the ups and downs of my peaceful parenting pathway. I do so at risk of knocking myself off that pedestal you’ve got me on but I want to inspire not demotivate and I hope that you will be able to see the human side of me and realise that you CAN do it and even if you do ‘mess up’, you can still foster that future trusting relationship with your children that you seek. Please have a read of these and you are more than welcome to email me (kate@peacefulparentsconfidentkids.com) if you have any other concerns or queries. My greatest fear is not having a wonderful relationship with my children and them struggle. Thanks for this well written article. Wow … again … I’m really going to have to read into the Philosophies of Magda Gerber and RIE (and more of your blog posts)! I am one of those examples that you mention which I just don’t want to be. I just thought it was “the right way” but also know I don’t like a lot of it. it doesn’t sit right. Thank you … again! I’ve got more reading to do and I have to do it quickly as my three year old daughter has been really testing the boundaries over the last week and I just really haven’t known how to react or deal with the situations … especially being tired. I have a lot of growing to do and it’s got to be done now! The most helpful topic in my private issue.thanks a lot. I’ve read blog posts like this before and am always left with the same concerns about the thesis. Why does punishment for bad behaviour, admonishment for poor behaviour, commendation for good behaviour, and praise (and occasional reward, depending on the situation) for wonderful behaviour have to be mutually inclusive with love-giving and communication? I don’t believe it is or has to be. We have a rambunctious three year old boy who is strong willed and is very adept at “testing” and pushing the limits of our patience (ie. acting like a total fartbag). To be fair, my wife gets the worst of this – their relationship has a different dynamic than mine, of course. But whether it’s her or myself dealing with his noncompliance/brutishness/rudeness/etc. we always endeavour to communicate calmly and clearly first, then with increasing firmness should the issue continue. But hey, sometimes you gotta drop the hammer on a kid. No matter what happens we always dole out lots of love and continue to make an effort to communicate with him about why what he did was wrong and how it might have made the other person (whether that’s us or his one-year old brother or a classmate) feel/react. One can easily make the argument that punishment for bad behaviour (taking away toys or story reading at bedtime) and praise for good behaviour teaches kids how the world actually works. Being irresponsible leads to bad results, being bad can cause you to lose your job or advancement or even get in trouble with the law; whereas being polite and responsible leads to improved interpersonal relations and a better chance of general life success while truly good behaviour (in theory) leads to a better life. Take the argument further and if you never ever punish a kid for anything he’ll start to believe that he can skate through life unscathed because no matter what he does all he’ll get is a talking to. I think there’s a danger there. There are certainly parents who raise their children to associate love (or lack thereof) with behaviour, and that’s something we disagree with. I remember those kids in school – the ones that were maniacally good grade-hungry or had to make quarterback…or else – and it’s sad to think of those kids growing up thinking that the only way they can get love from their parents is by achieving goals. This obviously leads to dysfunctional adulthood. But things aren’t usually as black and white as that and children need to learn how society works too. In the end, it’s all about balance (not to mention keeping your cool). But again, I don’t see why love and communication and punishment/praise for good and bad behaviour need to be thought of as intrinsically linked. I heartily believe that the kind of parenting you advocate – where the parent can enforce both positive and negative consequences for behavior while still making their unconditional love clear – is possible. In fact, I would say that my upbringing was evidence of it. My mother did put me in time out and she did (and still does) praise my accomplishments, but what I always think of is the unconditional love she demonstrates. I have also always felt comfortable talking to her about my issues. I think that the way she treated what I had to say with respect and was honest with me and trusted that I would be honest with her really encouraged those traits in me. On the other hand, some kids just have a different temperament from the get go and it may not be possible to use the same strategies for all of them. There was much that I really liked about the article, but the thing that struck me as encapsulating my difference of opinion was, “our role as their parents must be to walk alongside them”. I believe that a parent’s role is to be the child’s guide; to lead them along the easiest path and prepare them, teach them to be a good path finder themselves. That’s why being a parent is different from being a friend or being a confidante. To refuse to steer your kid in the right direction as best you can is to abdicate an important part of your responsibility toward your child, IMO. There has to be a better way – gentler consequences, but still clear to a child whose reasoning and self-control abilities are still developing. Thank you. I loved your childhood story and am so happy for you that you were able to enjoy an open and honest relationship with your mother. She sounds like a wonderful lady! You say “I believe that a parent’s role is to be the child’s guide; to lead them along the easiest path and prepare them, teach them to be a good path finder themselves.” If a parent leads their child along the easiest path possible, without letting them experience the paths for themselves, how do they become a good path finder? What makes a good path? Is it because someone told them it’s a good path. Will they then always be looking to seek reassurance they are on the right path? I like your point about being a leader though. I agree it is important to be a strong, confident and capable leader for our children. If they sense anything less than this they become uncomfortable and insecure and seek to test limits further. I should have been clearer in my article about my message about walking alongside. It is possible to be a leader as you walk alongside your child. A strong, loving arm around them will guide them in the right direction but they will have a clearer vision of what is in front of them. They will be able to make decisions, experience the consequences and choose paths based on what they have experienced. All the while they have a strong, capable and loving arm ready to support them should they need. When a child chooses that incorrect path, a parent can be there to confidently steer them away from it. All the while, the child grows and matures and eventually learns for himself that he no longer wants to take that path. He makes that decision for himself, not because he fears the punishment that will be dished up should he take it but because he believes it is not the right path to take. Hi David. Thank you for your thought- provoking comment. I think essentially we are on the same page. We both believe in clear communication with children and hope to raise children who can function well in today’s society. There are a few points you make that I have found unnecessary for achieving these goals. “But hey, sometimes you gotta drop the hammer on a kid” I disagree with this statement as I assume by this you mean you need to shout or punish to drive home the message that your child did not seem to get in the calm attempts you tried to communicate to him. This method is the number one method the majority of parents turn to in attempt to bring up their children to have respect and learn right from wrong. The thing is, there are other methods that can be used to achieve the same results but do not serve to cause self worth issues in a child and helps to ensure children feel they can always tell their parents their mistakes in the future. So why doesn’t everyone use these non punitive methods as a default method? Because it is harder to fight our instincts (usually carried over from our own childhood experiences), it’s more effort and it can often take longer for the child to learn the lesson. This makes the parent feel pressured to resort to punishments to change the behaviour quickly. When we calmly set and enforce limits as children grow, show understanding and acceptance of their emotions and feelings whilst their prefrontal cortex in their brains (the emotional regulatory centre) grows and the wiring connections establish so they can develop their own impulse and emotional control, we can still guide children to cope with the real world (especially through natural consequences) without severing vital connections between us and out children. “Take the argument further and if you never ever punish a kid for anything he’ll start to believe that he can skate through life unscathed because no matter what he does all he’ll get is a talking to. I think there’s a danger there.” There is much more to peaceful discipline than just talking to children. The use of natural and logical consequences help children make better choices not because they fear the parents reaction but rather because it is the better thing to do. Further to that, children learn behaviours and values by watching their parents. Seeing how they interact with others, hearing how they interact with them from birth. A child who feels respected and valued through subtle interaction from birth (asking before picking up a newborn, talking to them when they are distressed instead of simply shushing them, speaking to them through caregiving activities etc) will learn the way to treat others and be functional in society. I sincerely hope you’ll take a little bit of time to read further into the type of parenting I am describing. You are free to make your own parenting decisions for your children but you sound like a very switched on man and I hope you will take the time to educate yourself a little further either through my blog or Janet Lansbury’s blog before you make too many assumptions. Children aren’t trying to ruin your life. There is no such thing as a child “testing” how much “bad behavior” they can get away with. They aren’t getting it right away because they aren’t a genius. When a child is rude, it’s because they have no idea how to be polite. Don’t overestimate a 3-year-old’s capability for understanding what is and isn’t acceptable. They JUST STARTED learning, whereas you have had decades to figure it out. If you want you child to be polite, then BE POLITE–without rude behavior to model, your child won’t be rude. Your child isn’t “brutish” to piss you off, your child is “brutish” because “brutishness” and whatever its opposite is are social constructs with really complicated definitions that the child hasn’t learned yet. Your parenting method doesn’t teach “how the world works”, because the world doesn’t work that way–no one is going to have the legal right to hit you or take away your possessions or whatever when you’re an adult. Forget about “compliance”–who’s following YOU around all day and making you bend to their will (because that’s honestly the life of a child)? No one. Teach your child to know what to do and not to do WITHOUT your say-so, so that they can learn to function without. An obedient child is an insecure and dependent adult. Will your child’s behavior actually have any natural consequences in the adult world? No? Then let them go ahead. Yes? Then find ways for them to understand that. TEACH, don’t command. Your child is NOT going to learn that “all they’ll ever get is a stern talking-to”, because if literally the only consequence is a parent’s intervention, they should be allowed to do it, and you’re just over-exercising your authority if you’re trying to stop a child from doing something with no consequence. Punishment isn’t teaching; it’s hurting someone out of frustration or in vengeance. Look at the “real world”–punish criminals, and they become repeat offenders; reform criminals, and they become unrecognizable. If you “drop the hammer” on your child, all that means is that you’ve given up on teaching your child and are just trying to control them because you think that’ll be easier. I don’t expect parents to never resort to it, because parents are imperfect people raised by imperfect parents, but it’s a failure for them, and is bad for their child. Don’t coerce your child; convince your child, and then they’ll be able to make their own decisions about their behavior in the future. Love is unconditional, and should always be. If a parent is angry, and is getting after their child, care for their well being should always be reflected in their words. Where do you suppose these methods stem from? I’m aware that some parents take it too far, and shame their child into a disconnect from them, but all disapproval usually comes from general care for the child’s behavior and well being. 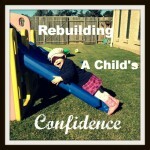 Letting your child run amok, and approving of it all, is also a formula for confusion. If you do not reflect reality, at least in small doses, your child will be very confused when he/she isn’t allowed to do something, have something, or receives disciplinary action from an external source (teacher, principle, manager) for their actions. Constant approval, is setting your child up to learn the hard way, and this could very well alienate the child, and make him a pariah among his/her young peers. The truth is, it’s a delicate balance. You can’t put too much weight or emphasis on one side of the scale, and parenting is one of the hardest things to do. Nobody will ever do it the same, or perfectly. If you were to communicate selflessly with your child, in any scenario, that would be the best course of action. You as a parent need to prepare for the adversity of adolescence, and you need to stress how available you are, under any circumstances. Unconditional love is not conditional upon a certain brand of upbringing. I completely agree. I do not advocate for letting children do whatever they please. This is a common misconception in peaceful parenting. Peaceful parenting is not permissive parenting. Children thrive when they know the limits and are confident in their parent’s ability to hold those limits. What I am saying and what I have aimed to teach through my blog posts, is that you can set limits, enforce limits and hold limits without using punishments. You can accept your child’s feelings and show empathy and understanding without giving in to the demands of a cranky child. I will look to make this point clearer in the post now. When your daughter does something helpful, the best thing to do is simply thank her. Making a big deal of it is in essence, trying to manipulate her into doing something else that is helpful. But she will come to associate doing helpful things with getting her parents approval rather than just seeing it as part of her everyday life. The same can be said for when she does something kind. When we praise good behaviour usually it’s because we want our children to repeat that behaviour but we are in effect buying the behaviour with our words. Our children then come to expect to be ‘paid’ every time they behave that way instead of just doing it because it makes them feel good in themselves to be helpful and kind. It sort of trivialises their inherent goodness. Keep your interactions respectful and authentic and trust in that innate goodness of your daughter to see her repeating these behaviours more consistently as she grows. She doesn’t need tricks to help her be helpful or kind. She will see you being and doing these things and eventually that is what she will do. I hope that makes sense. Keep up the wonderful work, Mama! Love this post. I also explain to the families I work with, that sometimes a teenager will be ready to talk, when you are rushing out, I say be late and listen. If they’ve plucked up the courage to speak, don’t miss that opportunity to connect. Thank you, Nathalie! Yes, I think teenagers sometimes choose those inopportune times to bring up hairy topics because it is hard for them to open up and they are sort of hoping their parents will rush out the door and let them off the hook. Like you say, if they’ve plucked up that courage, stopping and listening is vital as they will probably say ‘it was nothing’ when you inquire later. Thanks! I really loved this article. Excellent food for thought! Pinned. I LOVE this post more than words can tell! I am similar to you. I’ve spend years working with teenagers and I see how the rewards/punishment system has destroyed so many things in their lives. I also have two little ones that I’m raising without rewards, punishments, bribes, etc. and the difference I see in them is amazing. They come to me with ALL of their problems, big and small. They never lie and they know they can express their true emotions around us. Thank you for this post! Wow, thanks, Kate! It is heartbreaking to see teens in that way, isn’t it? Hopefully, by spreading this word, parents will start to make the same connection between childhood upbringing and teen/parent relationship. Hello! Thank you so much for this article. I’ve seen it around on Facebook, but only now got around to reading it. The timing was amazing, as I just returned home from my work as a child counselor and was feeling discouraged. I encourage parents to focus on connection rather than punishment when their child acts out or becomes angry, but I am met with a lot of resistance. Reading this post was so encouraging. Thank you for spreading this message. as a 14 year old this made me think about my relationship with my parents, friends and teachers and sadly I don’t have the confidence to talk about anything to them. especially how overwhelming school is or even simple things like i compose music in my spare time. And even if i ask my parents for help it ends in me getting shouted at for not getting my assignment done earlier even though I’m expected to complete 6 assignments and 3 tests in a span of 3 weeks plus additional homework that is pages long for school . What makes it even worst is that I miss an hour of class a week to do my instrumental lessons on violin and flute and at least four hours before school and two and a half hours after school to do choir, concert band and string orchestra. i am constantly tired and stressed as i get little to no sleep and i feel like failing on a test is the worst thing in the world as that is what i grew up to believe. I mostly get ignored whenever i talk to my friends as I am extremely quiet and have trouble speaking as i can not articulate my words properly and I’m scared to talk to my teachers as I never know how to tell them I’m struggling with my assessments. Thank you for your comment, Tess. I have sent you an email. It’s been quite the ride with my daughter and she has taught me patience and understanding. 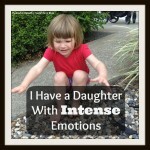 Before I became a mommy I was very short tempered and was not able to calm myself down very easily. When my daughter looks at me with those big teary eyes and I know that she can’t handle much more, instead of losing it and and getting angry I’ll give her a hug and let her cry it out on my shoulder. Ever since I started trying to see all of these situations from her perspective it makes parenting much easier and less stressful. I wrote a little bit about it in this article.. So how would you discipline a child that is being rude and disrespectful? Some really great advice here. I am also for us parents having control over their own emotions and their own frustration not playing a major role in training and disciplining children which can happen to us all. I think I noticed something interesting within the comments though. Correct me if I’m wrong but it seems like the suggested balances about “real life” application came from men posting and the other majority of comments from women. Is it possible there is a type of balance suggested here that are inherently wired differently into fathers and mothers? I think it’s possible. That said, there is an element or two missing that this father of three awesome little girls discovered. One is the fact that they are each very different. I mean I can see the parent of the strong willed child balking at this blog and wondering if they are a failure because they can’t seem to find “THE” method that works. Implementing all of the above but the child’s pressure and behaviors persists, even escalate. I have discovered together with my wife that my little girls are like three completely different plants, who need different amounts of sun, water, pruning etc. To make the assumption that they are so alike that they have the exact same needs for love and communication I believe to be a big mistake. I can’t remember exactly where I heard this but it soooo reflected my little ladies. One is a nail, another a grape, and the youngest a rubber ball. Each with different personalities to boot. One is “black and white” and needs direct, firm, and clear instruction, reward, and consequences and she thrives within that. She is the nail and THAT is the “hammer” she needs (no not the yelling or angry spanking). Left to herself, she is miserable. She’s the loud protester. She even verbalizes her need to be corrected when she does wrong. Right and wrong actions and their reward and consequences are very important to her naturally since very young. This has included corporal punishment. Another one speaks emotionally. It is not effective with her to lecture facts about what is happening or what she did or didn’t do but rather “how it makes her feel” and anticipating “how others might feel” about it. Use the hammer with her? No way, she’s a grape. It would squish her. She responds to being handled very gently with a focus on emotions. She thrives with that. She’s the silent protester. She needs to feel like she can be heard. The third, the rubber ball, almost everything bounces off of her. The hammer rebounds. Nothing gets her down, she is not easily discouraged which is great but also not easily corrected since she is constantly attempting to rationalize everything and justify herself. She needs a safe environment to “test” concepts of behavior and their outcome and when we are patient and even provide the avenue and our “wise hypothesis” of what her outcome will be we earn her trust and her ear. She needs conversation and the “WHY?” for everything. She pushes unsafe boundaries though in her childish ignorance. She is the litigating protester. My point: Parenting is very dynamic, and parents and children are very different. All too different to completely excuse some other balanced ideas in the mix. I think the reason teenagers dont’ talk to their parents is simply that the parents make themselves appears as such in the first place. Kids don’t want to poor their hearts out to people who appear authoritative (even if mildy so), decision-making adults: they crave for compassion and you can’t find that in someone that does not genuinely present him/herself as your equal or a person who wants to listen. That’s why they talk to friends or adults/role models that are friendly to them. 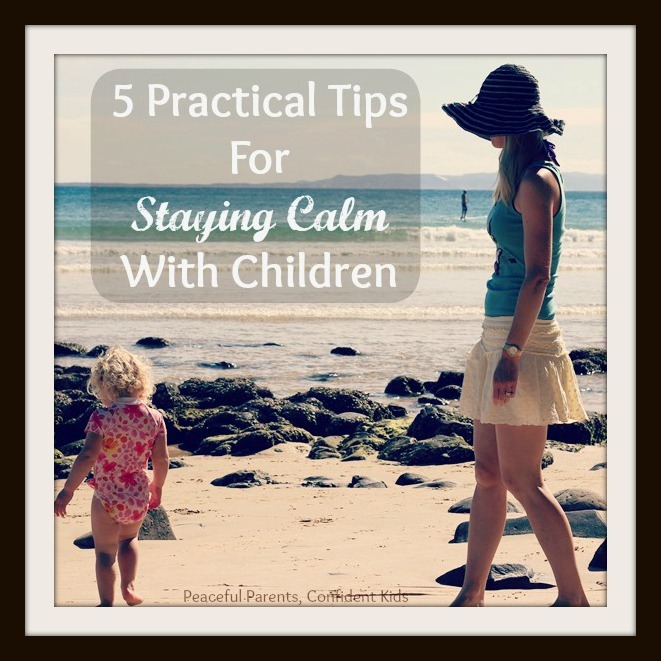 Friendly advice is usually way more in touch with what’s going on in their lives than the pragmatic approach of a parent, whose goal to protect and guide the child is not subtle enough and thus causes discomfort to the child. Why can’t Mr. and Mrs Anybody talk to their daughter as Joe and Jenna instead? Show who they really are to their kid, their real personnality, not what they should be? I am a 17 year old teen that has been confessing to her therapist about everything i have done. The difference now is that my parents, one after another, kept finding out what i have been up to. After my parents said I am no longer to have sleepovers, and I cannot not hang with anyone unless I know what time I will leave, what time I will be home and that it is at least 24 hours ahead, i started to be more risky. That was really difficult for me because my friends always ask to do things last minute and a took months before they just stopped asking because they knew I could not come last minute. I also would have a tough time planning because when I hang out with my friends it would be their idea or at their place rather than mine. So i had to work on making plans. After a while it was summer, i decided it was easier to sneak out at night or while my parents were at work. I did it once a week at first, by the end of the summer it was every other day if not every day. I would hang out with friends and we would go to abandoned buildings or stores or just peoples houses. It was exploring our cities and doing casual things such as swimming or shopping. After my parents caught me sneaking out, they took my phone and car away. After that happened I got a hold of my friends through my computer and told them i worked when i would just hang out instead. After they would find out that i was sneaking out i was still lying about not doing other stuff they sooner found out anyway. Later they found out I vape so they took phone and car again. Then they found out I smoke weed. No matter what though I still want to lie because I know if they find out I will be punished which is why I always lie to them. But now they say that they ground me because I lie. I’m sorry but I cannot tell the truth about something they will disapprove of. They only punish me for my own actions they never show that they understand about anything. Right now I have car and phone taken away but i still do not feel any different. I will still lie. Also to point out I stopped smoking and vaping. I never let any of those things get in the way of school. But this article really relates to me. My Dad and Step Mom are not bad parents, they just are trying to keep me on the right path, however those ways are not making me feel like i want to tell my parents things, it makes me avoid it even more. Thank you for reaching out and for your honesty in telling your story. I’m sorry you are feeling this way. You sound like you are very in touch with your needs and your emotions which is admirable for someone your age and will hopefully help you to take the steps you need to access support from those around you. You perfectly exemplify the message I hope to help others with, through this article. Thank you. Thank you so much for sharing this helpful article. Many parents will benefit and learn from reading it because it is very informative. Thanks for sharing your information with us. Actually I am mom of two children and I also know how difficult that is to handle the teen agers. I definitely going to follow your tips. Keep sharing like this. And when searched on internet about these things, i get valuable information from this website. https://www.talkingtoteens.com/. You can also share your thoughts with us regarding this.